In the British documentary series Seven Up, director Michael Apted follows a group of young children from different backgrounds throughout their lives. The first episode aired in 1964, when the children were seven years old, and a new installment has been released every seven years since. (In the most recent film, the “stars” are 56 years old.) It’s a remarkable feat of filmmaking, and its central message – that people’s lives are greatly influenced by the socio-economic conditions of their childhood – still resonates today. In one especially memorable moment, two seven-year-old boys from a priviledged background are asked whether they want to go to university. Both explain their academic plans in great detail, right down to the names of the Cambridge colleges they would attend. When the same question is posed to another 7-year-old who lives in a charity home, he replies: “What does ‘university’ mean?”. Needless to say, the three boys ended up having quite different, if rather predictable, educational paths. Half a century later, the question of how we can help children achieve their full potential is as pressing as ever. The development of social and emotional skills is increasingly seen as a promising avenue of policy action in this area – especially for children who, like the boy from the charity home, come from disadvantaged backgrounds. Social and emotional skills such as responsibility, curiosity, and tolerance, are associated with better grades in school, higher salaries and generally healthier and more fulfilling lives. As a result, several intervention programmes aimed at developing these skills are being designed and implemented in school systems around the world. These are positive developments. It is reasonable, and perhaps beneficial, to help children develop skills that have often been overlooked in educational agendas. But in focusing on the individual characteristics of students, it becomes all too easy to forget the other side of the equation – namely, the socio-economic contexts in which children develop. Without this broader perspective, programmes risk becoming part of the problem, rather than part of a solution. Our new Study on Social and Emotional Skills, which will be implemented later this year, aims to avoid this pitfall by examining the broader conditions in which children grow up in as much detail as possible. To this end, we have surveyed not only students, but their parents, teachers and school principals about many aspects of children’s lives: their home, school, peer networks and wider community. To ignore the broader circumstances under which social and emotional skills develop is to miss an opportunity to improve these skills. In some cases, the value of this approach is self-evident. Is it really surprising that a boy from an affluent background is more confident and assertive than a boy who grow up in a charity home? Isn’t it obvious that the gender gap in STEM fields might have something to do with stereotypes and power structures embedded within these professions? In other words, children may not necessarily lack confidence, ambition, resilience, or curiosity due to insufficient effort or limited potential. They may just be responding to the circumstances of their upbringing. This is not to say that children are exempt from any responsibility for their behaviours and their development; but the responsibility is not theirs alone. If we are to offer all children the same opportunities, we must consider important social and economic barriers that some children face more than others. 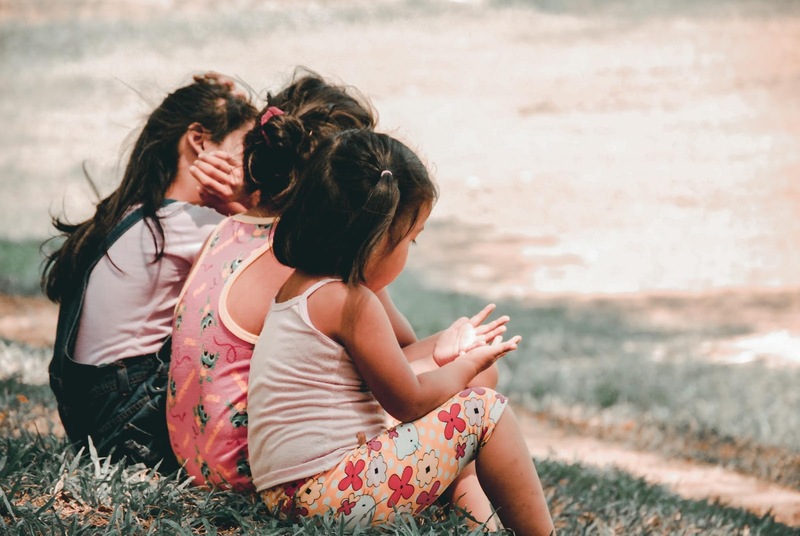 Educational intervention cannot be reduced to delivering a simple course, especially when it comes to the development of social and emotional skills. We cannot simply ask children to learn how to be cooperative or curious without addressing questions about the material they learn (curriculum) and how it is taught and how they learn (pedagogy). It is hard for children to develop curiosity when they are asked to memorise a huge volume of disconnected facts; and it is difficult to promote co-operation and empathy in classes that are organised (implicitly or explicitly) around a ‘winner take all’ mentality. A child who feels sad and anxious after repeatedly facing discrimination or mistreatment might not necessarily lack resilience or the potential to develop it. They might just lack a supportive environment in which their actions, with the help of others, can actually lead to positive outcomes. Social and emotional skills develop as a meaningful personal response to stimulating life circumstances. To ignore the broader circumstances under which social and emotional skills develop is to miss an opportunity to improve these skills. Worse yet, we could end up holding students responsible for outcomes that were largely beyond their control – effectively blaming the victims of inequity, rather than addressing the issue directly. Our study does not simply assess social and emotional skills in school-age children. It instead focuses on both the factors that promote their development, and the barriers that hinder it. Such empirical evidence could help policy makers and educators to create educational interventions that account for wider issues of equity when promoting social and emotional learning. After all, if we want to motivate our children to attend university, they must first know what the word ‘university’ means.